Wrong Shui or Right Shui that is the question. The Ba Gua mirror also known as the Pa Kua, should always be hung with the three unbroken lines at the top. The ones we sell on our site have a hook in that place so you cannot go wrong, however check yours if you have one, because I recently saw one in a shop with the hook in the wrong place. They should also never be placed inside your home or office as they deflect good luck. Always replace them if they are weathered or especially if the mirror breaks. Remember if you live in an area that you do not want it to be visible or you can’t be bothered explaining to your neighbours what it is, you can always place them behind an object to hide it. It will not lose any of its power. Size doesn’t matter, big or small they all have the same effect. Three legged Toads, a very powerful protector and enhancer of wealth. We receive so many e-mails asking which way should my Toad face? Some will no doubt disagree with me because someone has told you that he must sit on top of your head with a pint of Guinness by his side, that is an exaggeration but not that far off. He must sit looking into your home/office (bum facing the door) standing on a table diagonal to the front door with the coin in his mouth at all times with the yang four Chinese symbols facing upwards. I know most have been told take the coin out at night as he gets tired, face him in during the day and back at night, sorry, but this is all wrong. In China when you buy a Toad the coin will be fixed, either glued or with a bit of blue tac. I know I am going to get e-mails telling me it shouldn’t be Guinness but Lager. You can have any amount of Toads in your home or office and really can be placed anywhere in your home or office as long as it is not the bedroom or toilet. We have introduced a new range of Toads on our site. True north is the geographic North Pole where all longitude lines meet. All maps are laid out with true north directly at the top so whether you are in China, UK or USA they all use the same true north. Magnetic north: Think of the earth being a giant magnetic, because this is what it is. The earth’s magnetic field is inclined at about 11° from the axis of rotation of the earth, so this means that the earth’s magnetic pole doesn’t correspond to the Geographic North Pole and because the earth’s core is molten, the magnetic field is always shifting slightly. The red end of a compass needle is magnetized and wherever you are, the earth’s magnetic field causes the needle to rotate until it lies in the same direction as the earth’s magnetic field. This is magnetic north. 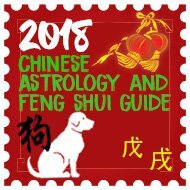 In Feng Shui we should only use magnetic north, so whether you are told to place a fountain in the south in China or the UK, providing you are using a good magnetic compass the direction will be correct. Simple isn’t it. I would strongly recommend you invest in a good compass, as well as the Luo Pan I use an electronic one combined with a laser pointer, this gives you 99.9% accuracy, the laser pointer is used for working out sectors in the home or office. For more details on how to take an accurate compass direction click here. How do I find the centre of my home? Now if you live in a lighthouse this is extremely easy, however if you live in an L shaped or other odd shape you just treat the missing parts as if they were there, in other words, the missing part of the L is included. Finding the centre is very important, as you will need to take directions from this point with a good compass. The missing parts of your home i.e. the missing part of the L need to be supported by placing a statue/pot plant or something heavy at the corner of the missing area. You should always draw a floor plan as much to scale as possible and then measure from corner to corner which will give the centre of your home/office. And now for something completely different…This is probably one of the best tips I can ever give you. Every summer I am plagued with ants in my kitchen, well as I have said before I do not like using drugs or chemical and always try and use some sort of alternative way, and soppy as it may sound I don’t like the thought of pouring boiling water in their nest. A few weeks ago I was looking through my essential oil Bible “the Fragrant Pharmacy” by Valerie Worwood and I happened to see a section on insects, and ants came up at the top, well she recommends using pure peppermint oil, a few drops on a tissue and wiped around doorways etc. You could not see me for the dust, I ran upstairs, and yes I really did run. I wiped the whole kitchen, fantastic and the kitchen smells wonderful as well, you need to apply every couple of days. I read an article in the Sunday Times a few weekends ago, saying how they thought essential oils were poppycock, what a load of rubbish, I have used them for 20 odd years and have had amazing results. I have treated impetigo to dandruff for our family. Always seek medical advice. Good Feng Shui is never to be in a position where you cannot see what is behind you. A typical case would be sitting at your desk with your back to the door. The ideal solution would be to move the desk so you are facing the door, however this is not always possible, therefore the best cure is to place a normal mirror in front of you so that you can see the door behind you. Do not use a Ba Gua mirror though. Mirrors and bedrooms, hmmmm tough one this. I am sure 99% of our readers, male or female and myself included, would not like to do without a mirror in the bedroom. If you have a mirror you should try and have a full-length mirror where you can see all your body when looking into it, or a mirror that you can see your entire head. At night they should be covered as well as any reflective items such as TV, computers, glass picture frames etc. You only need cover the ones that look onto your bed. When you sleep you expel unwanted thoughts and emotions through Ch’i leaving your body, a reflective material such as a mirror, TV etc sends them straight back to you. Faceted Crystals can also be used in place of bamboo flutes or wind chimes, i.e. hang under a beam to deflect the energies that have an oppressive effect on the people in the room. They can be used in hallways to slow down or activate Ch’i. Crystals are ideal for energising dark or lifeless rooms or areas of rooms such as alcoves, as they will encourage more light and energy. Lights are a powerful way of activating Ch’i inside and outside your home. They can also be used to energise missing areas of a room or a building. Up lighters are generally better. Having a bright light outside your front door is considered extremely lucky as it attracts good Ch’i. Always replace broken bulbs. 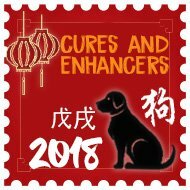 i m pharmacist and do a medical store so i want fengshui tips for this proffession. plz help me. 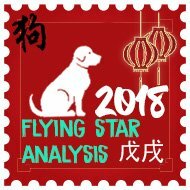 I\’m afraid we do not have a page on Feng Shui and professions but it will be something I will write about in one of our newsletters so thank you for the recommendation. 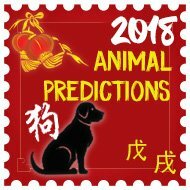 If you want some information on professions etc, you could take a look at the Chinese Animal Calculator and see good professions etc for you.